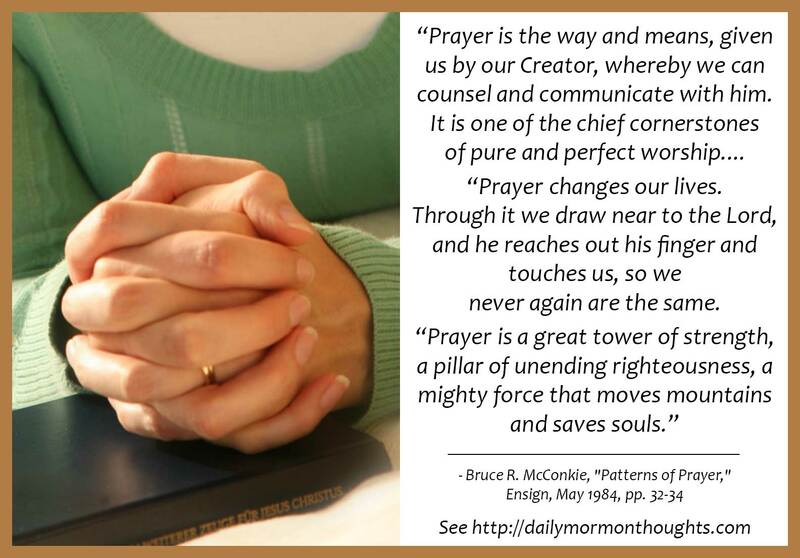 "Prayer is the way and means, given us by our Creator, whereby we can counsel and communicate with him. It is one of the chief cornerstones of pure and perfect worship. "In prayer we speak to the Lord, and he speaks to us. It is our privilege to have our voices heard in the courts above and to hear the answering voice of the Lord conveyed by the power of his Spirit. "Prayer changes our lives. Through it we draw near to the Lord, and he reaches out his finger and touches us, so we never again are the same. "Prayer is a great tower of strength, a pillar of unending righteousness, a mighty force that moves mountains and saves souls. Through it the sick are healed, the dead are raised, and the Holy Spirit is poured out without measure upon the faithful. "In prayer we bind ourselves by solemn covenants to love and serve the Lord all our days. In it we pay our devotions and offer our sacraments to the Most High." 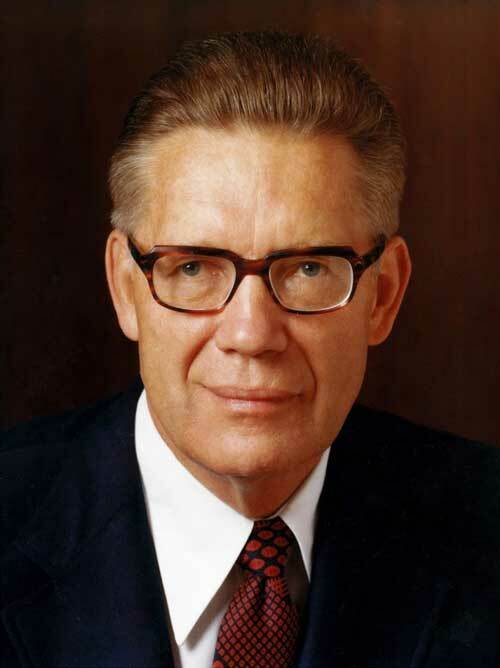 In my youth, I loved listening to Elder McConkie. 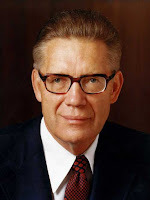 His words were always so sure, his voice so bold and clear in expounding doctrine and testifying of truth. This explanation of the power of prayer and the role it can play in our lives is insightful and inspiring. Once we begin to grasp the blessings available through this heavenly gift, we truly will be willing to "come boldly unto the throne of grace." Two more thoughts from Elder McConkie's quote impressed me. First, prayer provides the means through which "the Holy Spirit is poured out without measure upon the faithful." That is a gift to be sought after and prized as we deal with the challenges of mortality. The price to pay for the gift is small in comparison to that which is returned. And then, "In prayer we bind ourselves by solemn covenants to love and serve the Lord all our days." What a beautiful expression of the sacred relationship we develop with our Father through sincere and regular communication. How deeply fortunate is the man or woman who establishes this habit and begins to receive the blessings that follow!